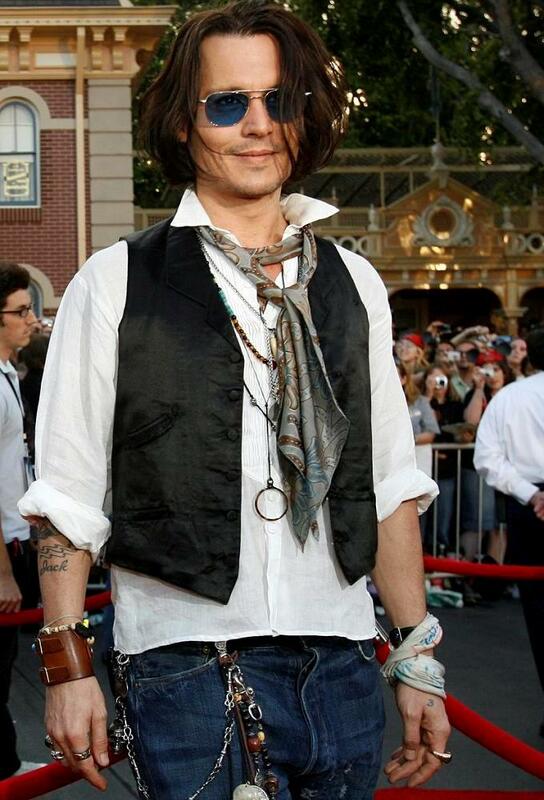 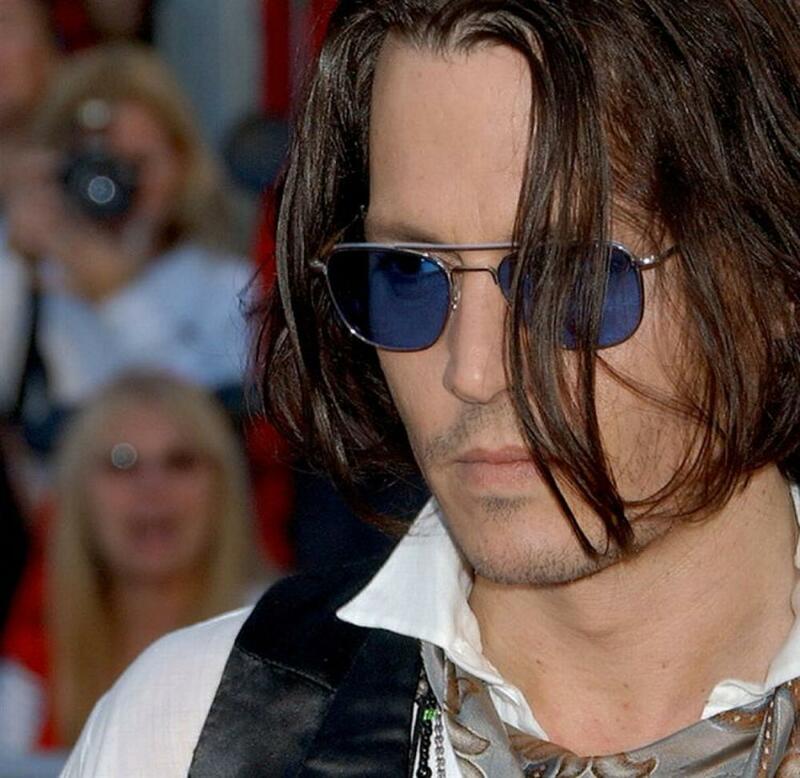 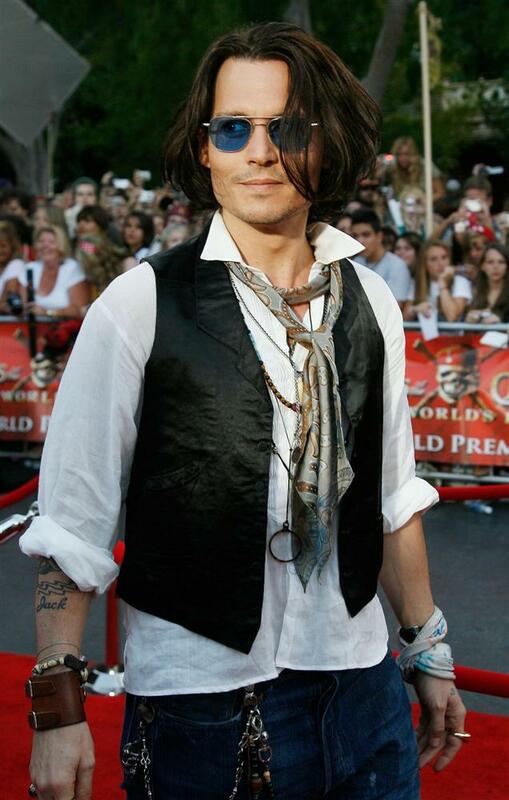 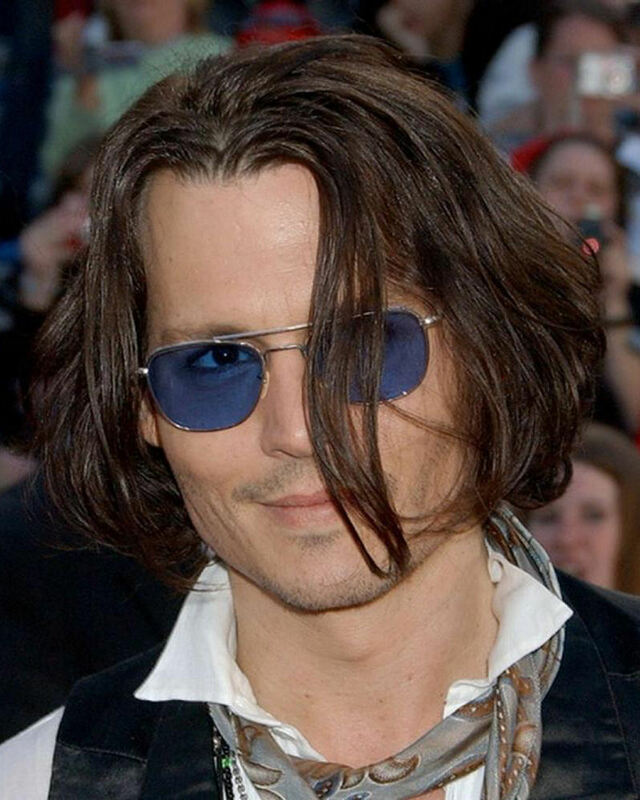 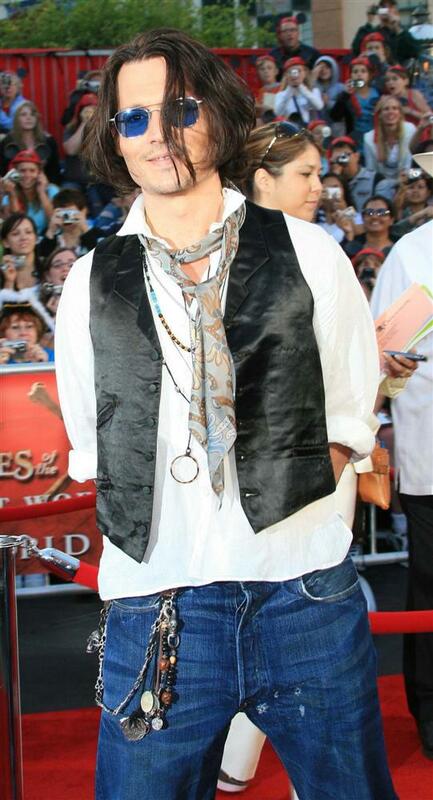 On Saturday evening, May 19, 2007, Johnny Depp walked the mile-long red carpet down Disneyland's Main Street U.S.A. for the world premiere of PIRATES OF THE CARIBBEAN: AT WORLD'S END. 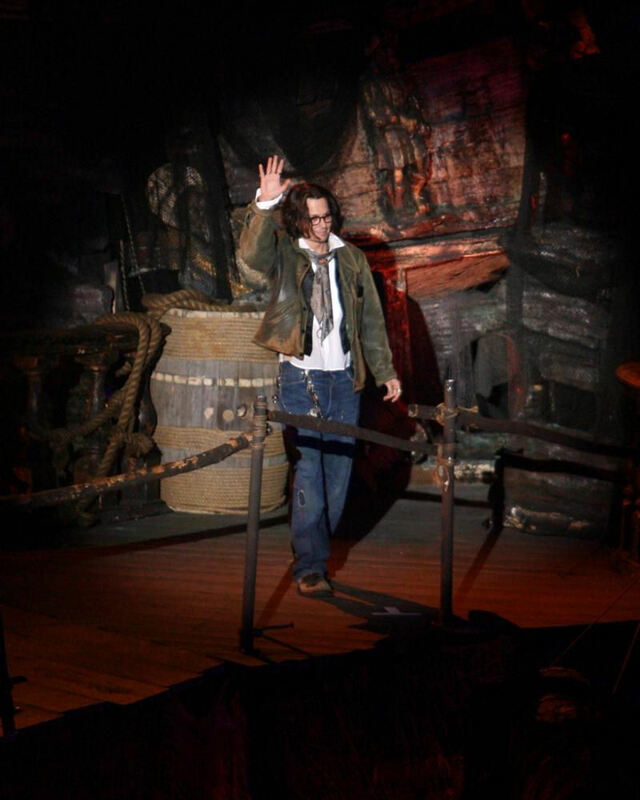 Fifteen thousand adoring fans jammed against the metal and red-rope barricades lining Main Street U.S. A.; they had been waiting from the wee hours of the morning for a chance to see Johnny pass by. 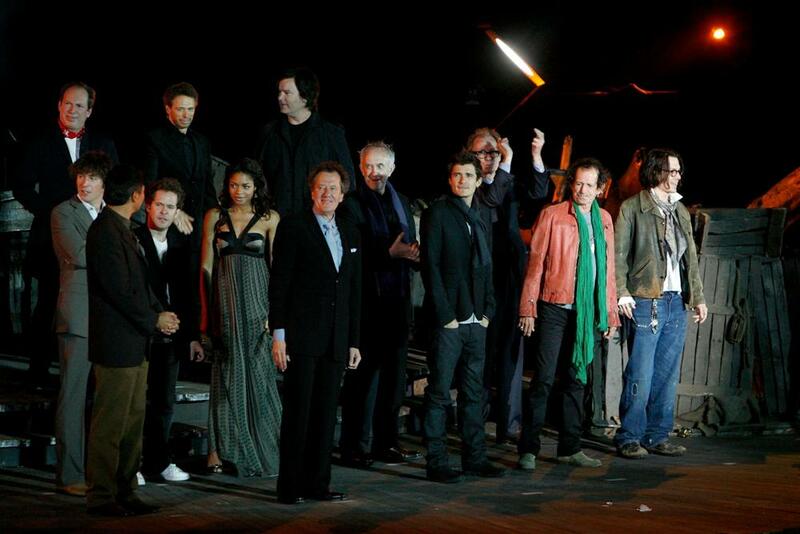 Preceding him down the red carpet were AT WORLD'S END producer Jerry Bruckheimer, director Gore Verbinski, and Johnny's fellow cast members Orlando Bloom, Geoffrey Rush, Bill Nighy, Chow Yun Fat, Lee Arenberg, Martin Klebba, Naomie Harris, Kevin McNally, Jack Davenport, Tom Hollander, Jonathan Pryce, and Keith Richards. 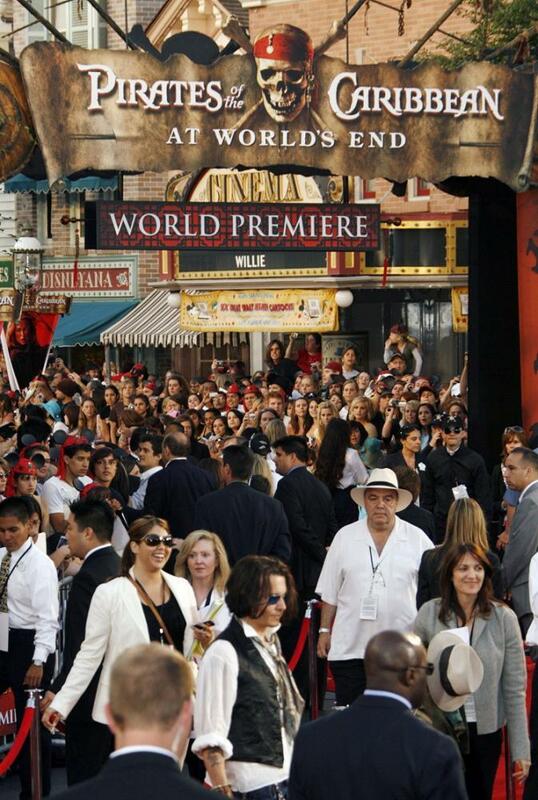 Commenting on the "sea of faces" bordering every possible inch of space along the red carpet, Buena Vista Pictures Group president Oren Aviv called the premiere turnout "amazing." 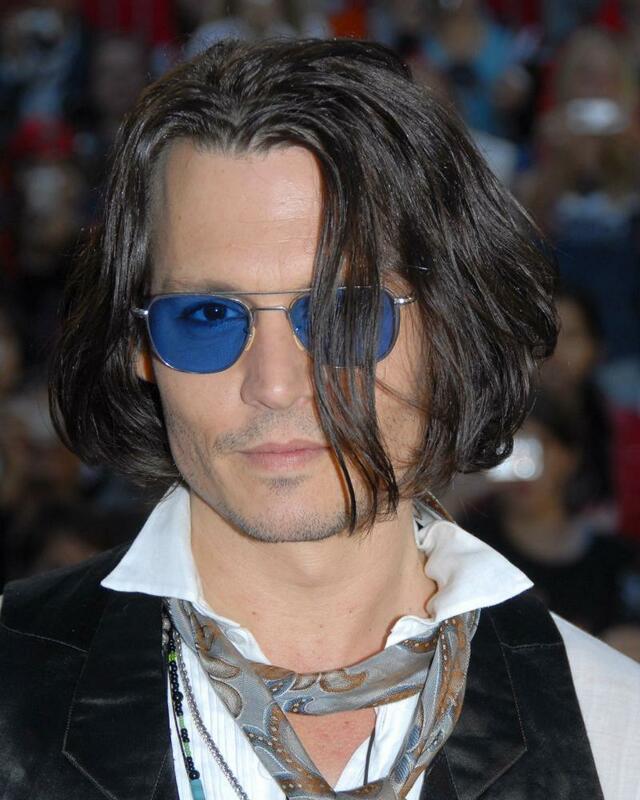 Aviv told a Variety reporter, "You really get to see the power that movies can have when you look around and you see that these lives are affected by what were initially just words on a page." 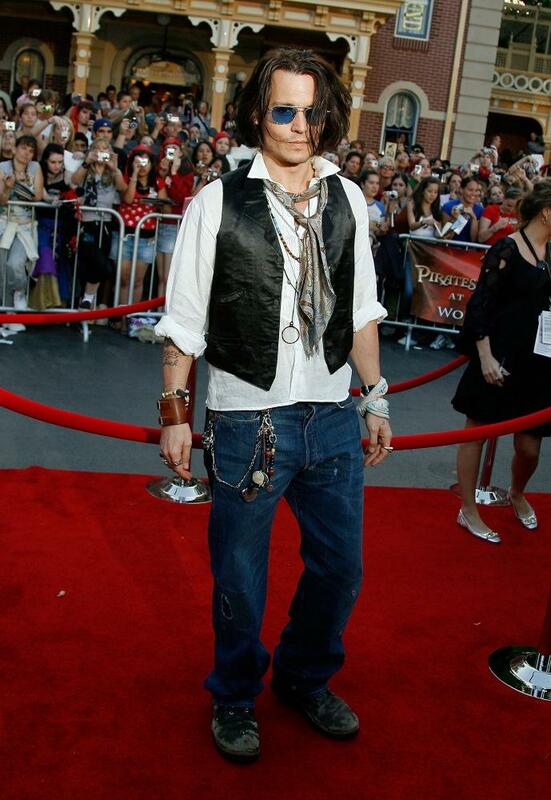 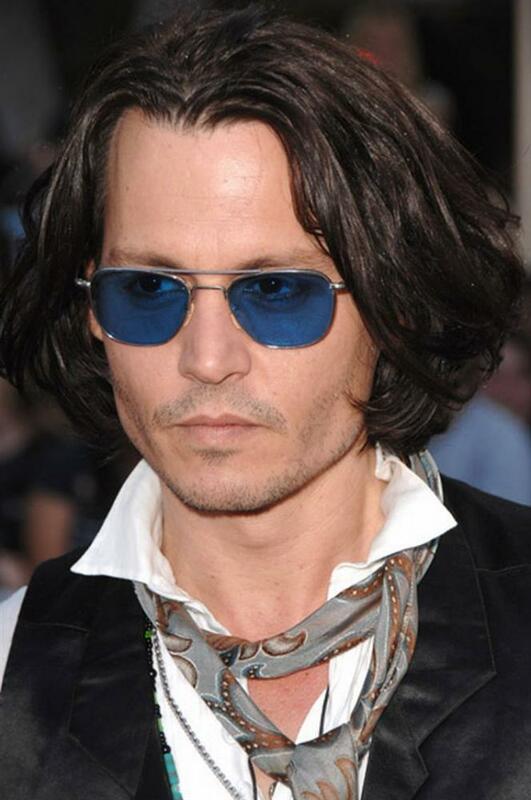 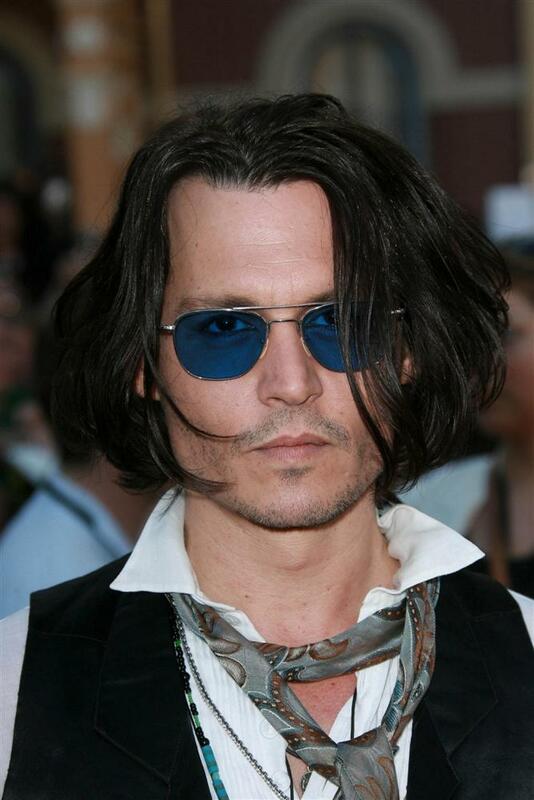 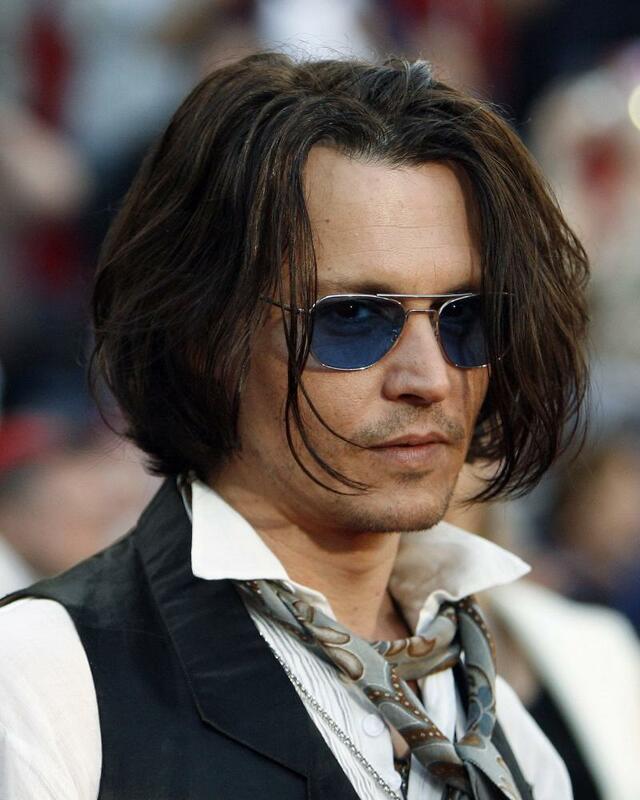 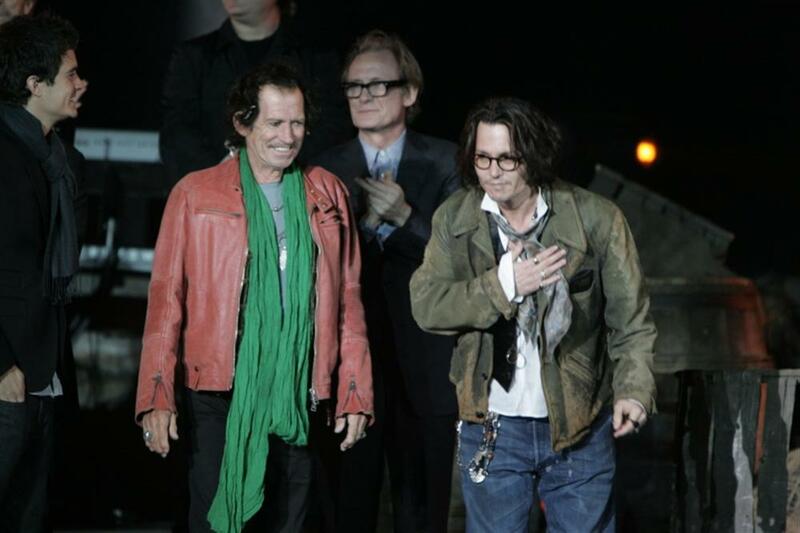 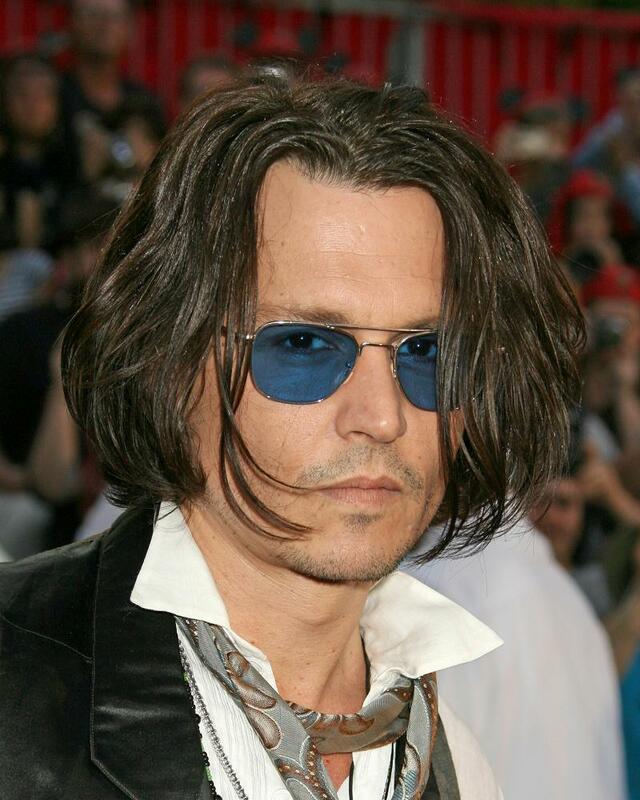 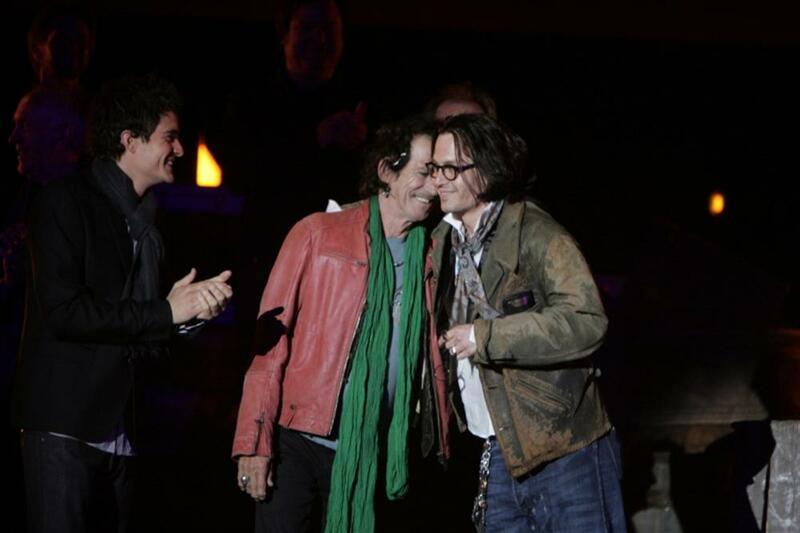 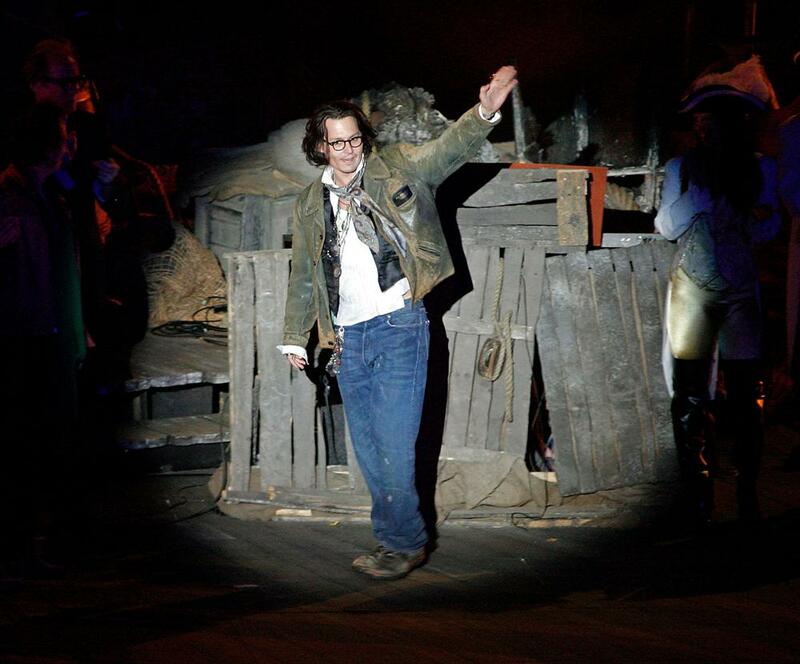 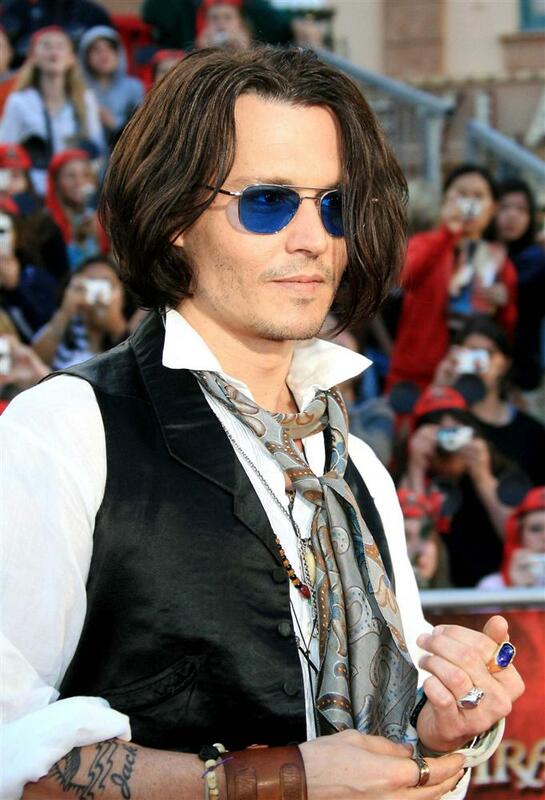 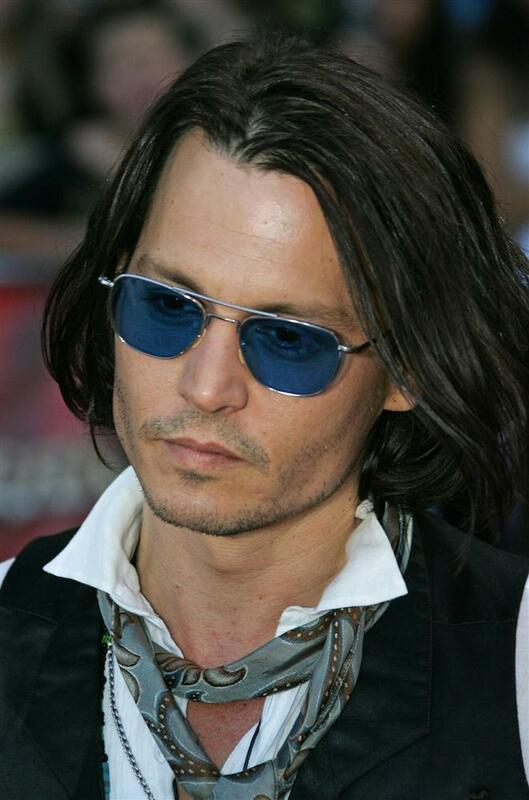 For the occasion, Johnny wore a long-sleeved white shirt, blue jeans, a black vest, and his favorite boots. 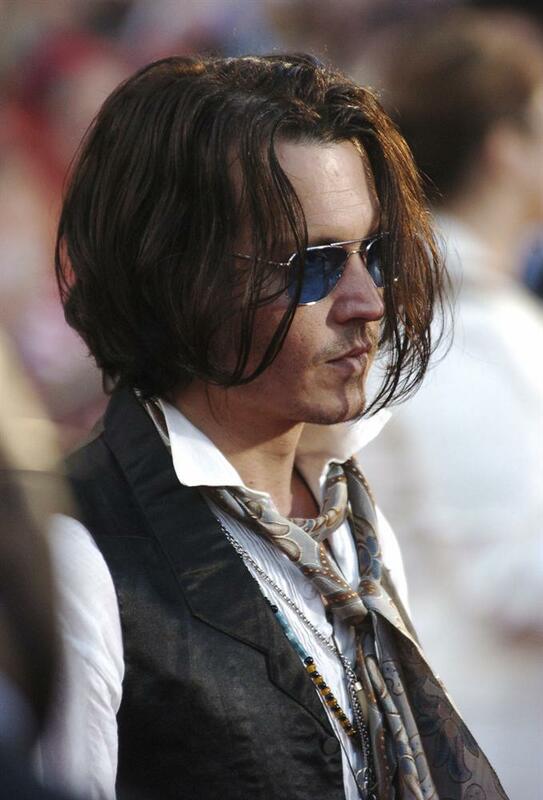 Around his neck was a gray silk scarf, wrapped twice around shirt's open collar and loosely knotted. 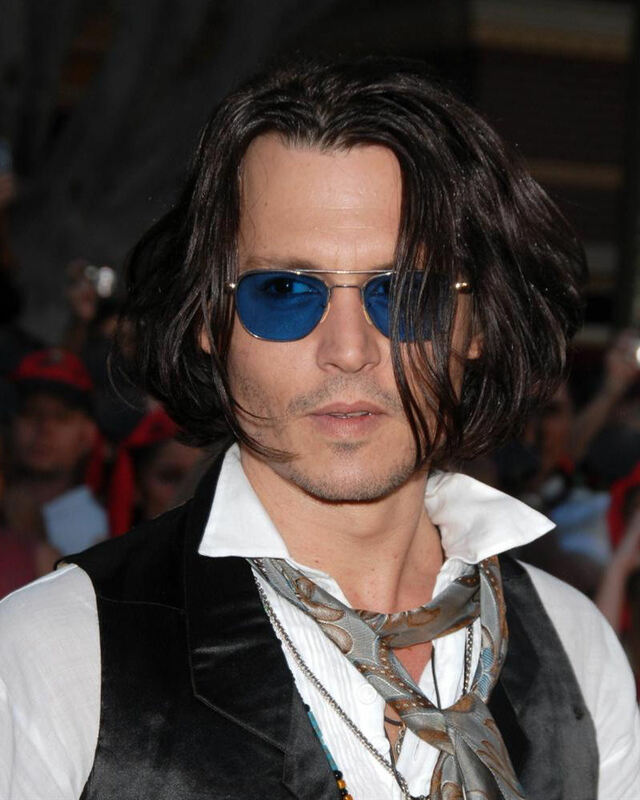 He wore his full complement of necklaces, danglies, and bracelets, including a new monocle that hung nearly to his waist, and brilliant blue sunglasses. 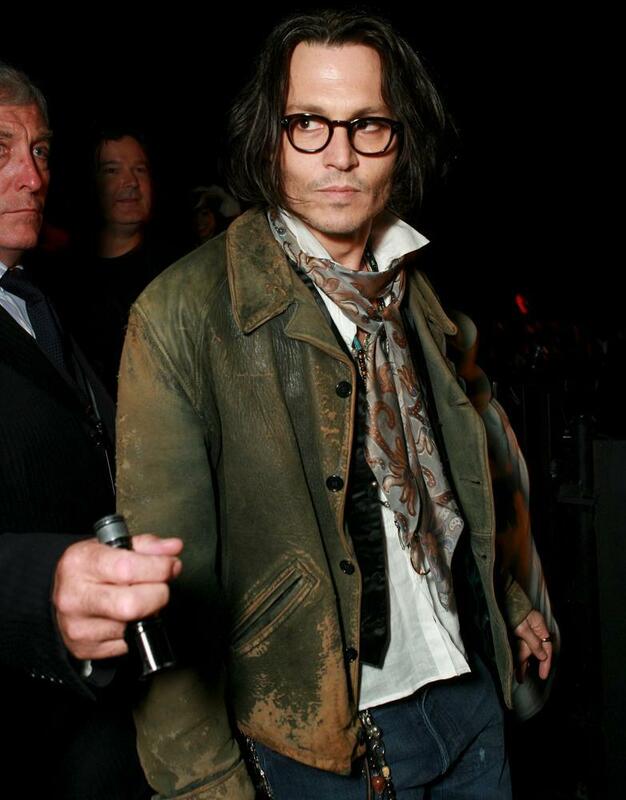 Later, when the evening turned chilly and moonlit, Johnny switched to his familiar tortoise-shell glasses and put on his favorite leather jacket. 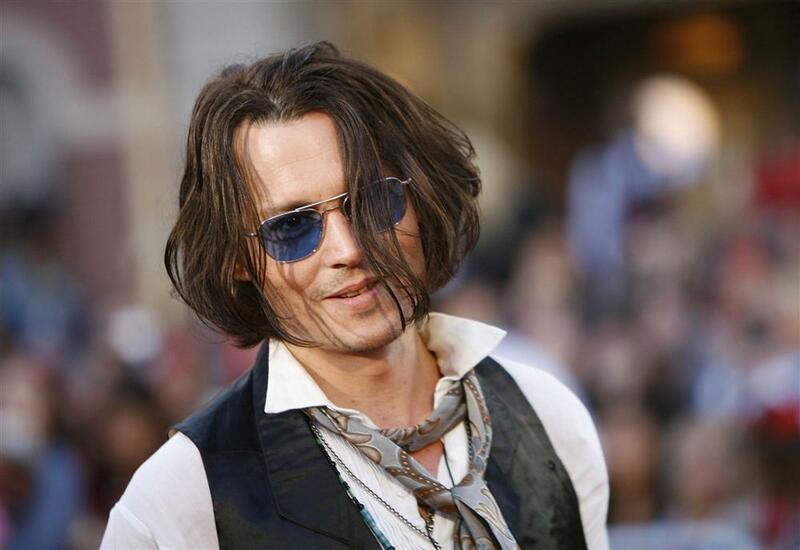 Our selection of 44 pictures captures Johnny in many moods--friendly, playful, thoughtful, shy, and solemn--as he greets the throngs who came out to meet him. 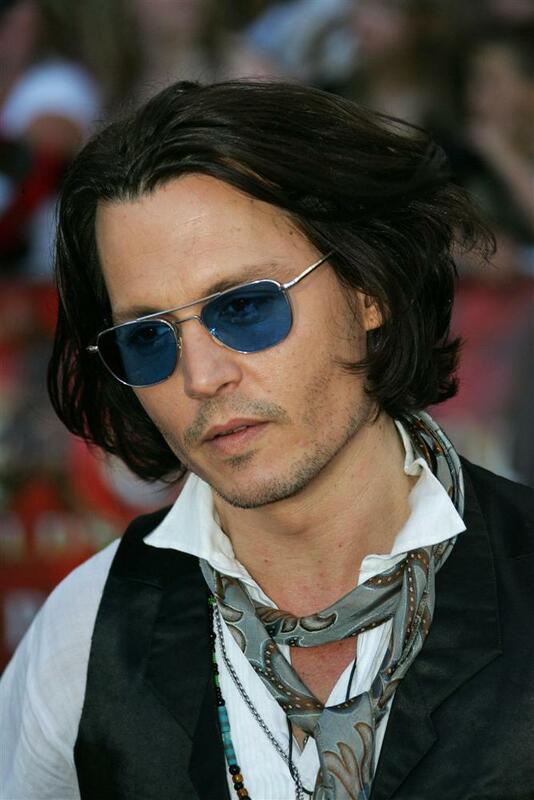 Many thanks to Sleepy, Bonnie, AnaMaria, Aisha, and Carasun for contributing pictures to our gallery. 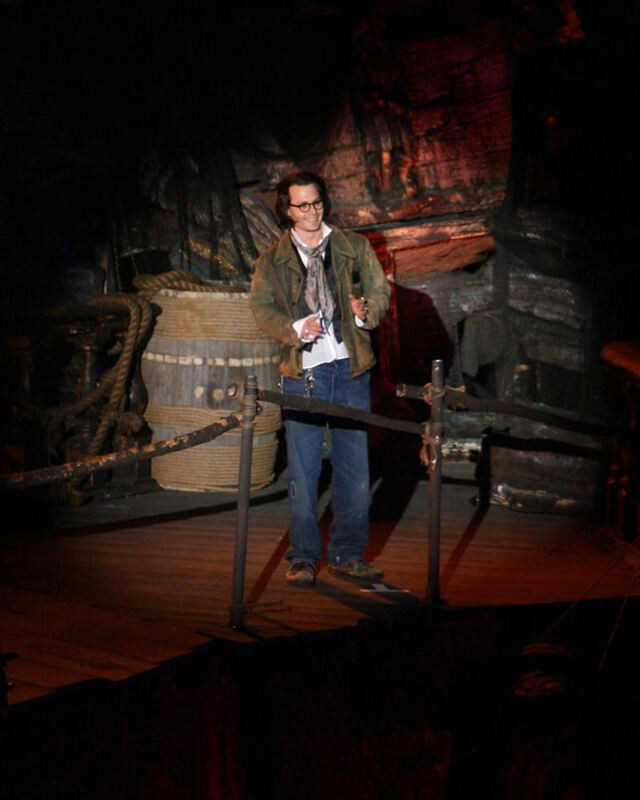 It's a pleasure to be able to remember that wonderful evening in Disneyland, when the best pirate we ever saw arrived to celebrate a job well done.